WIRED leveraged the native connection between GE’s Brilliant Machines and Star Wars. 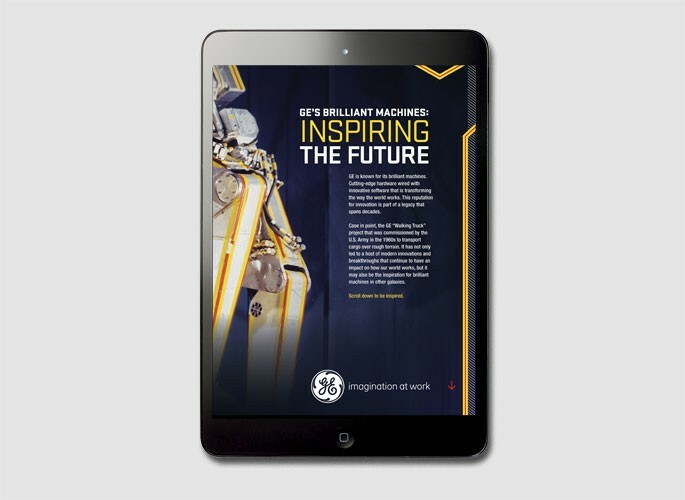 The partnership featured custom digital and social content that distinguished GE as an industry leader. 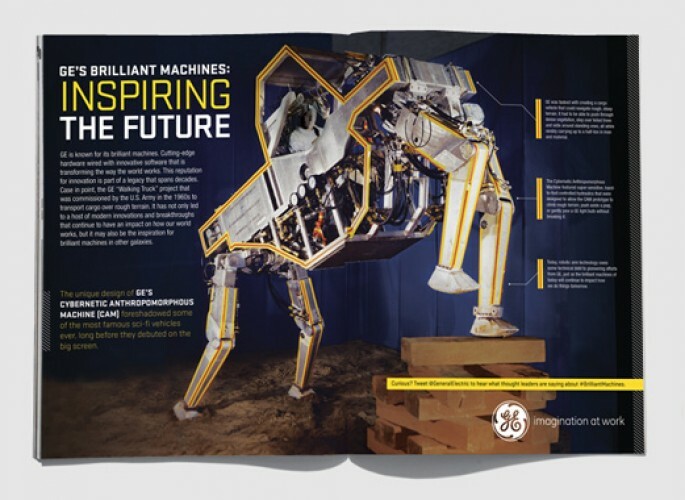 Print: A custom Inspiring the Future spreadvertorial showcased a GE project that served as the inspiration for a key Star Wars vehicle decades before its debut. Digital: WIRED designed a Star Wars-themed landing page to house engaging content. Custom units showcased the scientists behind GE’s Brilliant Machines and explored the feasibility of sci-fi blockbuster tech. The units seamlessly integrated GE Scientist-authored content across WIRED.com. Social: Directly within the unit, users were invited to tweet pre-populated tweets themed to match the sci-fi tech featured. Tablet: GE’s tap and reveal execution enabled readers to unlock content focuisng on GE’s Walking Truck project and its impact on how the world works.